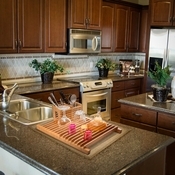 ACCOMMODATES LARGER SINKS: 19.5” length designed to accommodate most sink sizes and to fit around faucets. 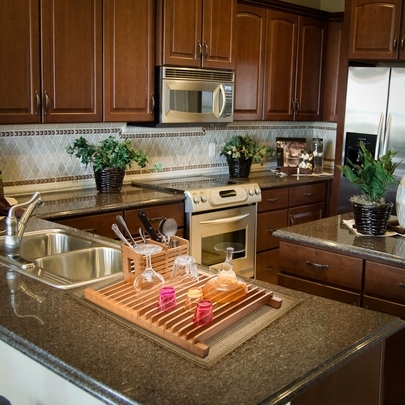 Combined with crocks Flatware storage helps you organize your kitchen essentials. 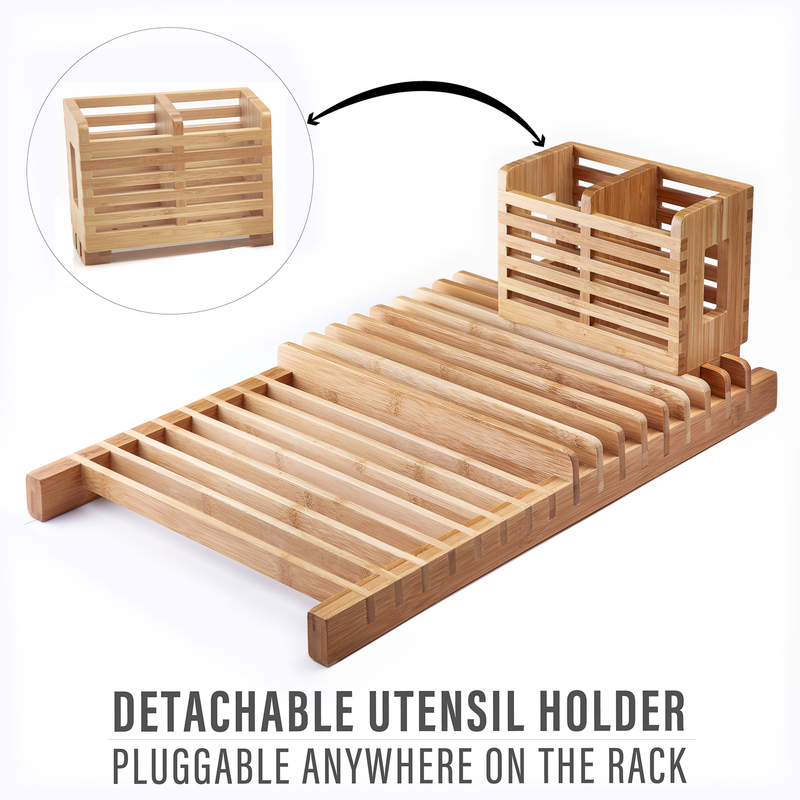 REMOVEABLE UTENSIL HOLDER: Vented storage compartment and dryer to keep your utensils, cutlery and dinnerware fresh, neat and organized. 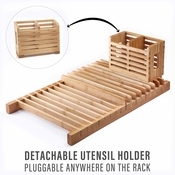 This ventilation enhanced container includes extra drain holes. 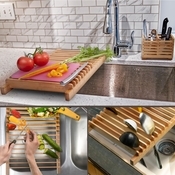 KITCHEN WORKSTATION WITH ANTI-SLIP FEET: Includes stay-in-place rubber feet so this dish rack drain board won’t slip or slide out of place while you’re staying busy at your kitchen workspace. 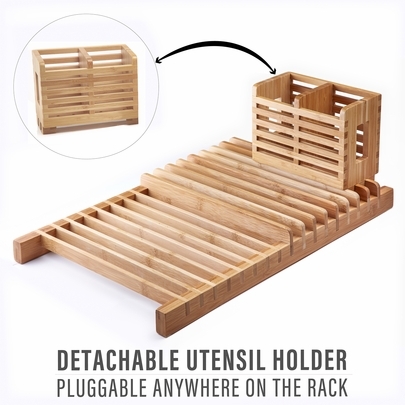 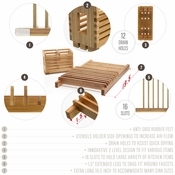 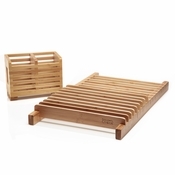 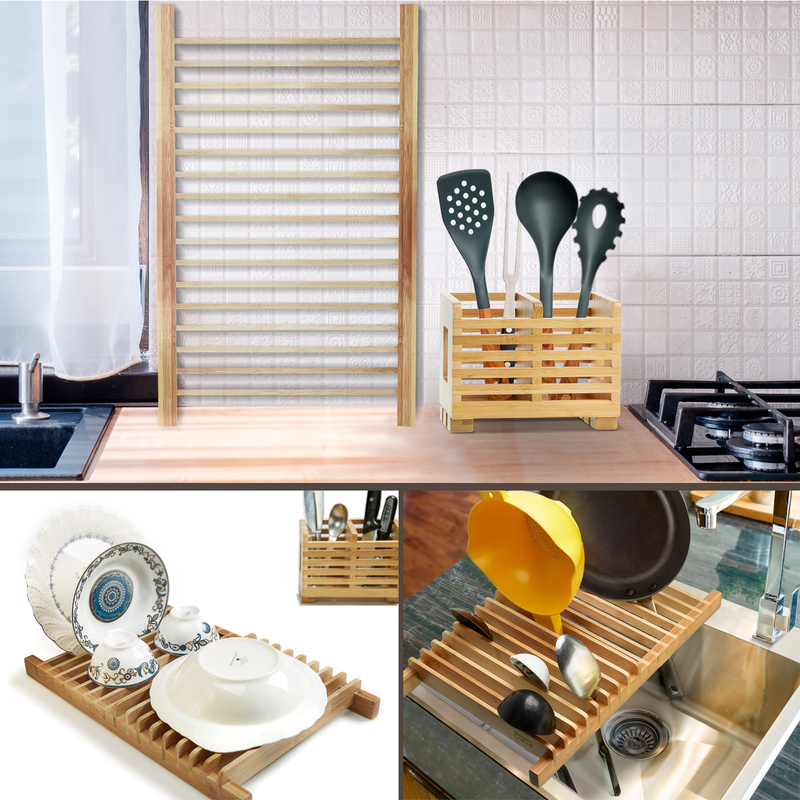 RESISTS MOLD AND MILDEW: Universal drying board is made of beautiful, sturdy and genuine bamboo that that does not rust and is less prone to mildew and mold like other dish drying trays and racks. Prosumer’s Choice multitasking bamboo dish rack efficiently dries plates, stores utensils, fits over a counter, and cures your kitchen of clutter and messy sinks! No one likes seeing a sink full of dirty plates, cups and utensils, but ordinary dish racks are often too small and complicates drying dishes in an organized way. Sporting non-slip rubber feet, our extra-long heavy-duty dish drying tray transforms sinks so that dishes can be washed, rinsed and stored neatly with features you won’t find on other dish racks. Unlike typical metal racks that grow rust, or plastic racks that attract mold the moment you install them, our dryer stand is crafted from sturdy, mold-resistant and naturally beautiful bamboo, with an ergonomic two-tier design to accommodate a variety of dishes, bowls and cookware. 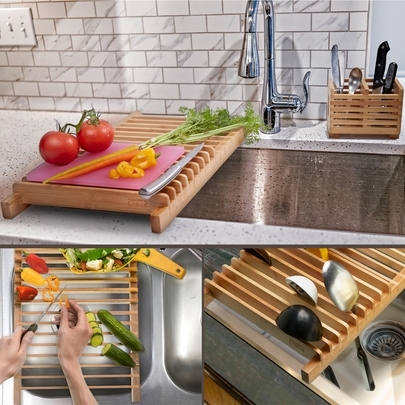 Measuring 19.5 inches long with extended edges, this bamboo dish rack accommodates larger sink sizes and can be placed over the under-utilized left side of the sink, saving valuable counterspace. 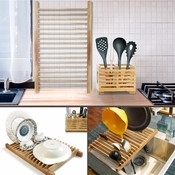 This bamboo sink dish drainer board helps to air-dry washed bowls, tableware, cookware, pot, fry pans, dinnerware, cutlery and utensil tools. Combined with a detachable utensil container rack that can be removed and used separately, this bamboo tray is both durable and decorative, creating more useable countertop space for bowls, appliances or ingredients during cooking. Great for medium to large kitchen sinks where other drainboards won’t fit, our dish rack’s bamboo is strong yet elegant in appearance, adding a high-end touch to your kitchen décor. 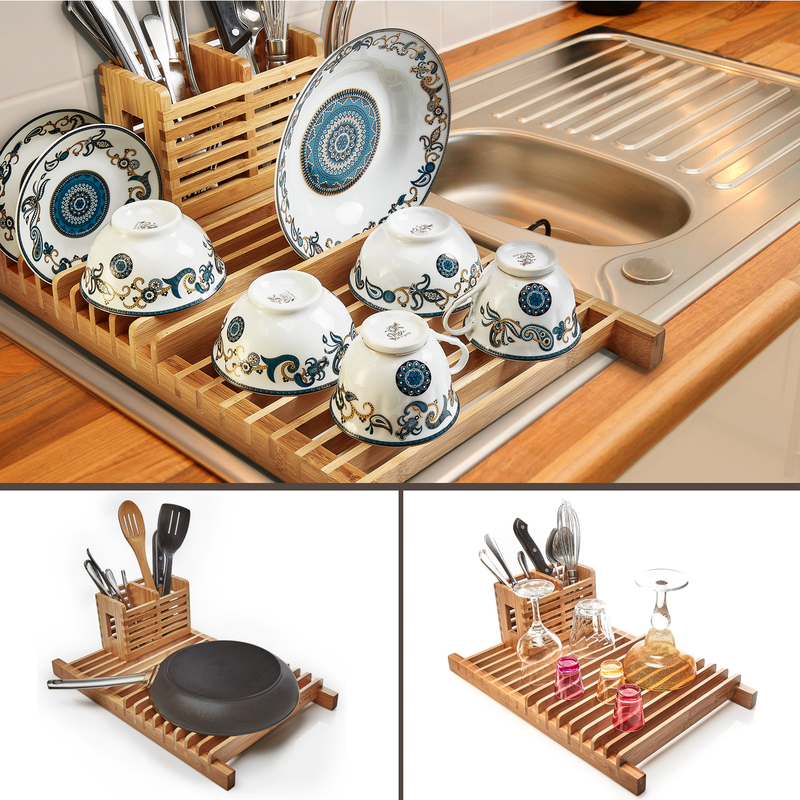 Add this ready to use dish rack to your kitchen and the next time you look at the sink, you won’t dread doing those dishes.